God, brilliant Lord, Yours is a household name. I’m thanking You, God, from a full heart. I’m whistling, laughing and jumping for joy; I’m singing Your song, O Lord. You took over and set everything right; when I needed You, You were there, taking charge. You hold the high center; You see and set the world’s mess right. You decide what is right for us and will never leave us alone. You are a safe house, a sanctuary during bad times. The moment I arrive in Your sanctuary, I feel safe. I relax and am never sorry I knocked and entered into Your presence. O Lord, my Lord, how great is Your name in all the earth. You have set Your shining greatness above the heavens. I look up and think about Your heavens, the work of Your fingers, the moon and the stars, which You have set in their places. Who am I but an ordinary person? Yet you, the God of heaven, think me worthy of your care and goodness. Out of the mouths of children and babies; nursing infants sing their choruses to You; toddlers shout their songs. You made us a little less than the angels. You made us to rule over the works of Your hands. You put all things under our feet: all sheep and cattle, all the wild animals, the birds of the air, the fish of the sea and all that pass through the sea. O Lord, our Lord, how great is Your name in all the earth. 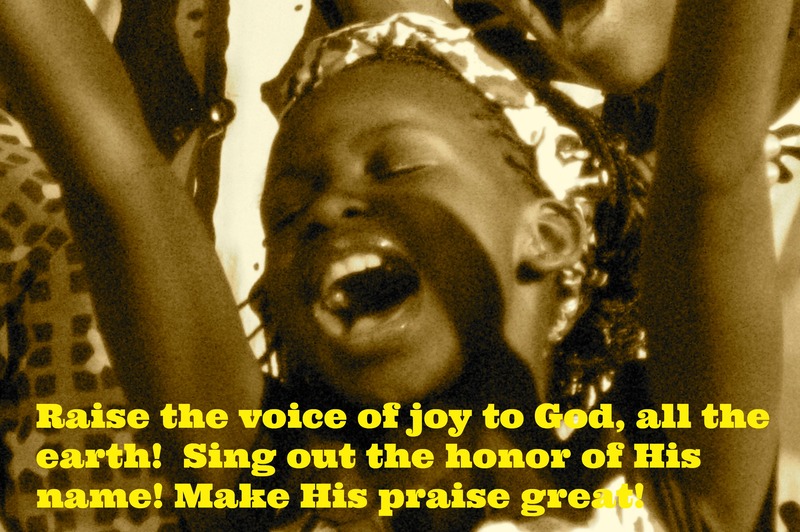 I will shout the songs with the children and praise Your holy name. Your presence in my life brings me great joy. Continue to be kind to me, God. I’ve been kicked around long enough. You’ve pulled me back from the gates of death and I now have joy. I’ll write the book on hallelujahs on the corner of Main and First. I’ll hold a street meeting; I’ll be the song leader; we’ll fill the air with salvation songs. Genuine happiness comes to the one who does not walk in a sinful way or stand in the path of sinners or sit with those who laugh at the truth. Everlasting joy is in You, Lord, and I am mindful day and night of Your goodness to me. I am like a tree planted by rivers of water, which gives its fruit at the right time. Its leaves never dry up. My household is blessed and I am confident that whatever I do will work out well for me, for You, Lord, have found favor with my household. I’m thanking You, God, from a full heart. I’m whistling, laughing and jumping for joy; I’m singing Your song, O Lord. For You, O Lord, know the way of those who are right with You. And I am thankful. For Your presence in my life brings me great joy. Come and see the works of the Lord. Be quiet and know that I am God. I will be honored in the earth. The Lord of All is with us. Praise the Lord, O my soul!Come and see the works of the Lord. Be quiet and know that He is God. He will be honored among the nations. He will be honored in the earth. The Lord of All is with me. God has set the earth in its place so that it will stay that way forever. He covered it with the sea and made the waters stand above the mountains. The waters left at His strong words. They dispersed quickly at the sound of His thunder. The mountains rose up and the valleys came down to the place that He made for them. God set a place that they may not pass over. The waters will never cover the earth again and God made this promise for me. God sent rivers into the valleys to flow between the mountains, giving water to all the animals of the field and the birds of the sky. He waters the mountains from His heavenly home and the earth is filled with the fruit of His works. And He did this all for me. Come and see the works of the Lord. Be quiet and know that He is God. He will be honored in the earth. The Lord of All is with me. Oh yes, God brings grain from the land and wine to make people happy. As their faces glow with health, they are a people well fed and hearty. God’s trees are well watered. Birds build their nests in those trees; mountain goats climb about the cliffs; badgers burrow among the rocks. The moon keeps track of the seasons and the sun is in charge of each day. God makes darkness and it becomes night so all the wild animals among the trees can venture out. The deep, wide sea is brimming with fish past counting, and He did this all for me. What a wildly wonderful world God has made! He made it all for me, with wisdom at His side. May His shining greatness last forever. I will sing to the Lord all my life. I will sing praise to Him as long as I live. May the words of my heart be pleasing to Him. As for me, I will be glad in the Lord and I am so thankful. Let everything inside me Praise the Lord for He did this all for me. I will honor the Lord for His glory and His strength. I will honor the Lord for the glory of His name, worshipping Him in the splendor of His holiness. God keeps me alive and keeps my feet on solid ground. He has tested me, making me pure as silver. He has blessed me with much more than I could ever need. In response to His goodness, I will come into His house with my offering, returning a portion of what He has given to me. My heart’s desire is to honor and thank my Lord. The Lord is faithful to give me strength when in need. 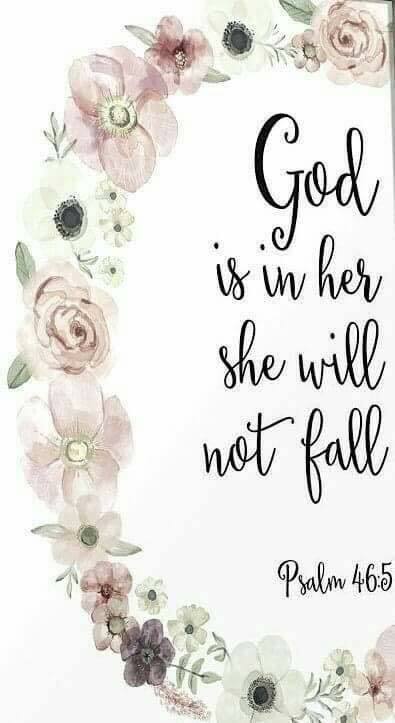 He will keep me alive and will keep my feet on solid ground. The Lord will bless me with peace. Praise the Lord God, Who alone does wonderful things. Praise His glorious name forever! I will tell you what He has done for me. I will cry out to Him with my mouth and praise Him with my voice. I am aware that the Lord will not hear me if I hold on to the sin in my heart. So I daily ask forgiveness to be sure that God has heard. He has listened to my prayer. My heart’s desire is to honor and thank You, my God. With a thankful heart, I will sing loudly and joyfully to the Rock Who saved me. With delight, I will make a sound of joy to Him through song. For the Lord is a great God, and the great King above all gods. The deepest places of the earth are in His hands and the tops of the mountains belong to Him. The sea is His and His hands made the dry land. He made it all for my enjoyment. For God is the Creator of all good things and I am in awe of His beautiful creations. 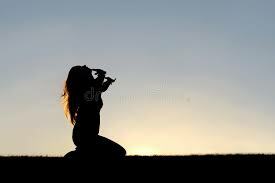 With a grateful heart, I bow down in worship. Daily I will humble myself, getting down on my knees before the Lord to worship the One who made me. For He is our God and we are the people of His field and the sheep of His hand. Heavenly Father, You are my daily celebration. I will invite everyone to join me as I stand to my feet and shout with joy! 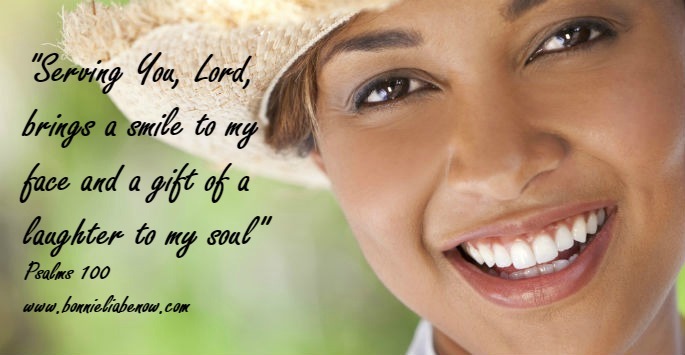 Serving You, Lord, brings a smile to my face and the gift of laughter to my soul. And as I gladly serve You, I will sing songs of joy as I reflect upon the truth that You are God to all people. It is You, Lord, who made us, not us. We are Your people and the sheep of Your field. Each day, as I enter Your gates and come into Your holy place, I will praise You and give thanks. I will give honor to Your Holy name in everything I do. God, You are so good to me. I am comforted in knowing that Your loving kindness lasts forever. You are faithful to me and to my family. I give You all my praise because You are every joy, every triumph and every good thing in my life. You are Jehovah, the Lord, God all-powerful. 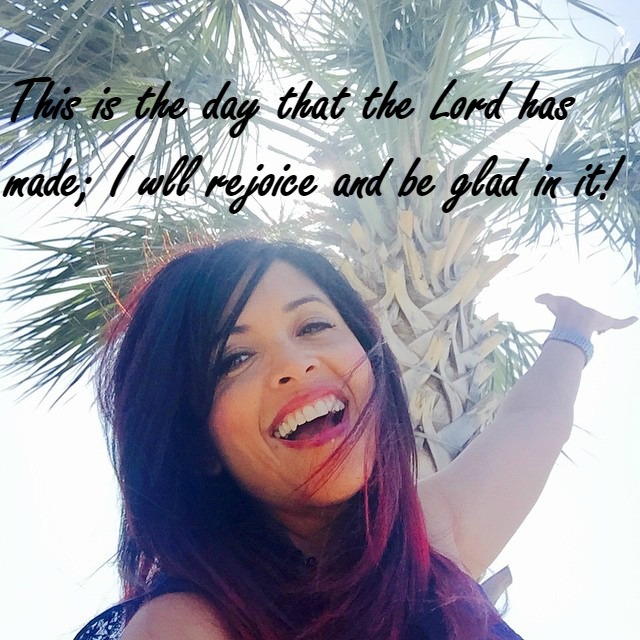 For this is the day the Lord has made; I will rejoice and be glad in it. Praise God, everybody! Applaud God! His love has taken over our lives; God’s faithful ways are eternal. He is my God, and I will praise Him; He is my God, and I will exalt Him. I give thanks to the Lord for He is good and His mercy endures forever. Hallelujah! It is better to trust the Lord than to put our confidence in anything or anyone in this world. The Lord is our strength and song, He has become our salvation. Truly the voice of rejoicing and salvation is in the tents of the righteous. May the Lord open the gates of righteousness so we can go through them and praise Him. For this is the day the Lord has made; I will rejoice and be glad in it. Blessed be His name from this time forth and forevermore! From the rising of the sun to its going down, His name is to be praised. He is my God and I will praise Him; He is my God and I will exalt Him. Thanks be to the Lord for He is good and His mercy endures forever. Blessed is the one who fears the Lord, who finds great delight in His commands. Our children will be mighty in the land; the generation of the upright will be blessed. Wealth and riches are in His house, and His righteousness endures forever. Even in darkness light dawns for the upright, gracious, compassionate righteous one. Good will come to those who are generous, lend freely and conduct their affairs with justice. Surely they will never be shaken; they will be remembered forever. The faithful will have no fear of bad news for their heart is secure. They will have no fear and, in the end, they will win. For this is the day the Lord has made; I will rejoice and be glad in it. He is my God and I will praise Him; He is my God and I will exalt Him. Thanks be to the Lord for He is good and His mercy endures forever. Praise the Lord! Praise God in His holy place! Praise Him in the heavens of His power! Praise Him for His incredible works! Praise Him for all His greatness! Praise Him with dancing and with loud clear sounds. Let everything that has breath praise the Lord. It is so good to sing praises to my God. It is pleasing to Him. My praise is so right. He heals my broken heart and heals my many sorrows. Great is my Lord, and mighty in power. His understanding has no end. God favors those who fear Him and those who wait for His loving-kindness. His goodness brings a song to my lips. I will sing to my Lord daily with thankfulness and praise. His goodness makes me sing a new song and His wonderful name moves me to dance. The Lord is happy with me. He saved me and has made me beautiful. My pursuit is to be God-like and full of His joy and His honor. I will sing for joy and the high praises of God will be on my mouth. This is an honor for me to give my daily praise to my Lord and Savior. God sends His Word to the earth. And His Word runs fast. God knows the number of the stars and names them all. He covers the heavens with clouds. He gives rain for the earth. He makes grass grow on the mountains. He gives food to the animals, and to the young birds that cry. He gives snow like wool. He spreads ice like ashes. He throws down His ice as hail stones. He sends out His Word and melts the hardened stones. He makes His wind blow and His waters flow. God spoke and His creation came into being. He has made it last forever and ever. Praise the Lord. Praise the Lord from the heavens! Praise Him on high! Praise Him, all His angels! Praise Him, sun and moon! Praise Him, all you shining stars! Praise Him, you highest heavens, and you waters above the heavens! Let all creation praise the name of the Lord!